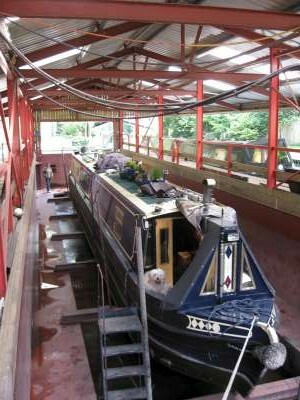 … but we have finally exchanged contracts on our house, have a completion date and have found a boat we like! Joy marched into the local council offices last week, asked how much longer the local search would take and our buyer’s solicitor had it the next day. Good Girl!!! The next step is getting the boat surveyed, which we planned to do in two stages 1) An in-water inspection and valuation, then if all was well, 2) An out-of-water survey. The K & A however is not overly blessed with dry-dock facilities, and the only dates available are May 13th, or the 20th, or June 10th. May 20th would be good because that’s the day we complete our house sale, but the surveyor is not available that day, so it looks like we’ll have to do it in one hit on the 13th and wait to purchase after the 20th if all goes well. Watch this space! Meanwhile the packing and disposing of a lifetimes clutter goes on, but it’s exciting, frustrating and exhausting all at the same time! 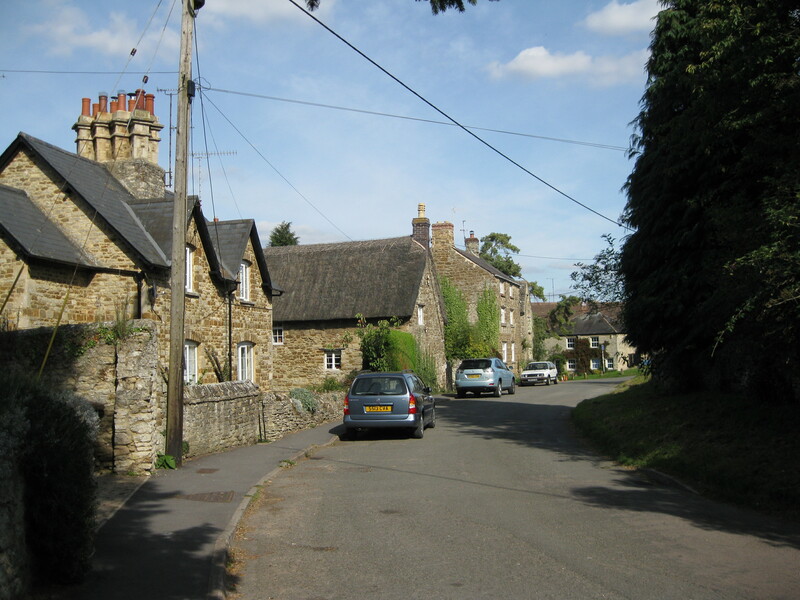 Autumn day at Lower Heyford village. 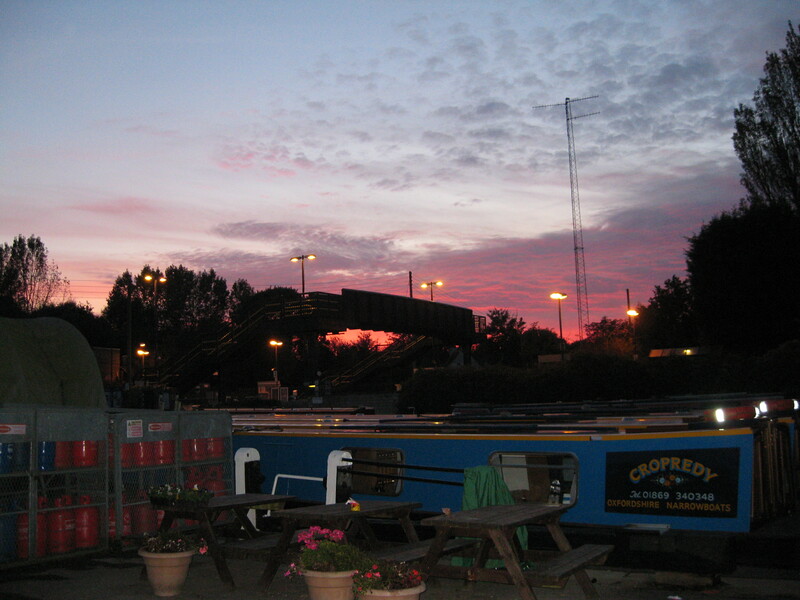 Time slips by, the leaves turn golden brown and start to fall and this year’s hire-boating season comes to an end. The seasonal staff start to depart for pastures new, ranging from Mexico to the Midlands. 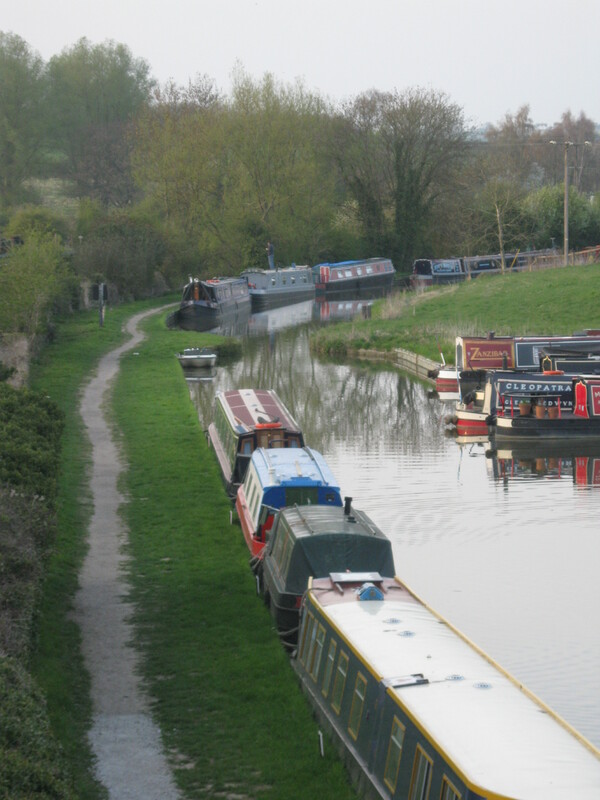 Those left are counting the days, but for the engineering staff, boat-fitters and painters new jobs are beginning. Three new shells have arrived from Colecraft and already the fitting out, painting and engine fitting has begun and we are over-run with extra carpenters (or are they boat-fitters?) It’s going to be a busy winter I think! 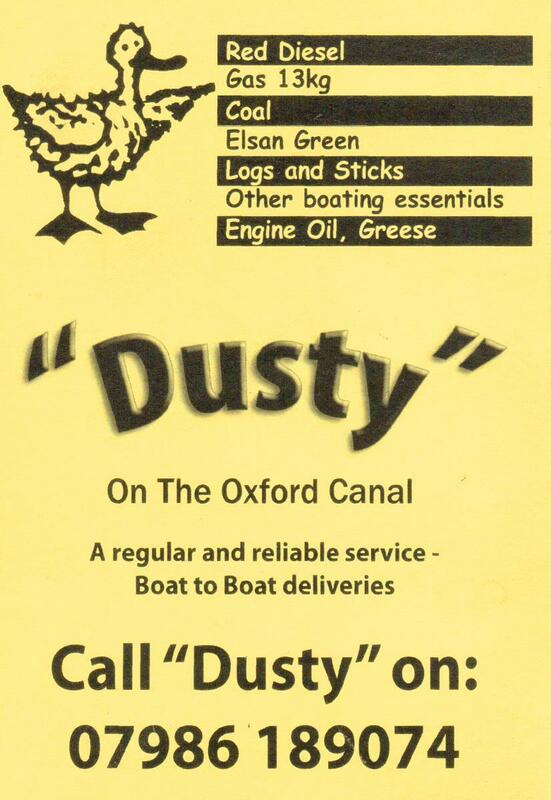 We continue to learn more and more about the canal community and have found that “Dusty” is something of an institution on the Oxford Canal, Mark Boardman (07986 189 074) delivers coal, gas and diesel, by narrowboat, up and down the Oxford in all winds and weathers, and picks up his deliveries at the wharf fortnightly. So here’s this month’s feature, a fully loaded Dusty setting off on his rounds. We are starting to make friends and contacts in the local community, both through work and through the local church at Heyford Park Chapel (on the old Upper Heyford air base) a lively group from diverse backgrounds who have made us very welcome. Oh well, I wonder what we’ll be doing at Christmas.